Located over four levels at No.9 The High Street, Oxford. 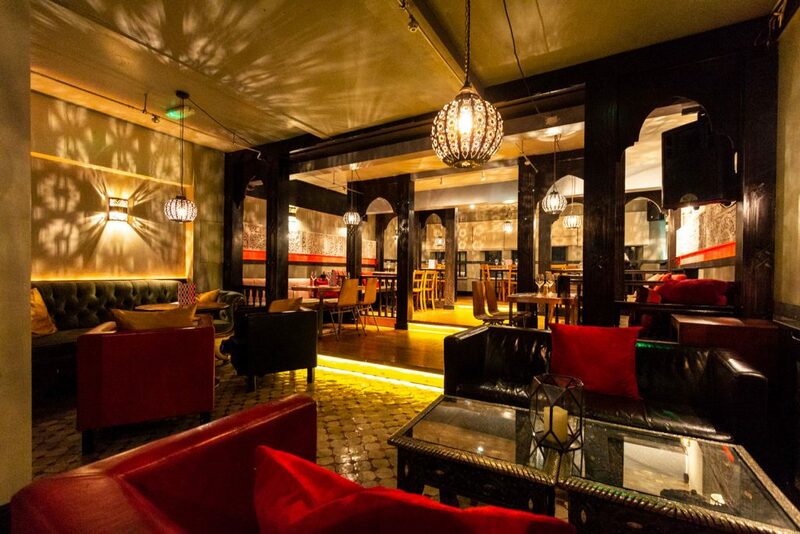 A place where you can eat, drink, relax and party. Our place, your space. 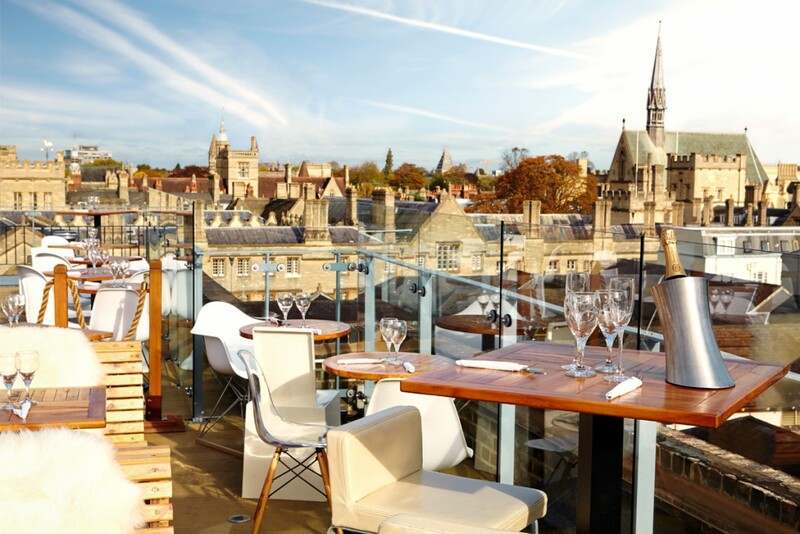 Unique and spectacular, the original Oxford roof terrace puts you in amongst the Dreaming Spires with unparalleled 360 degree views. 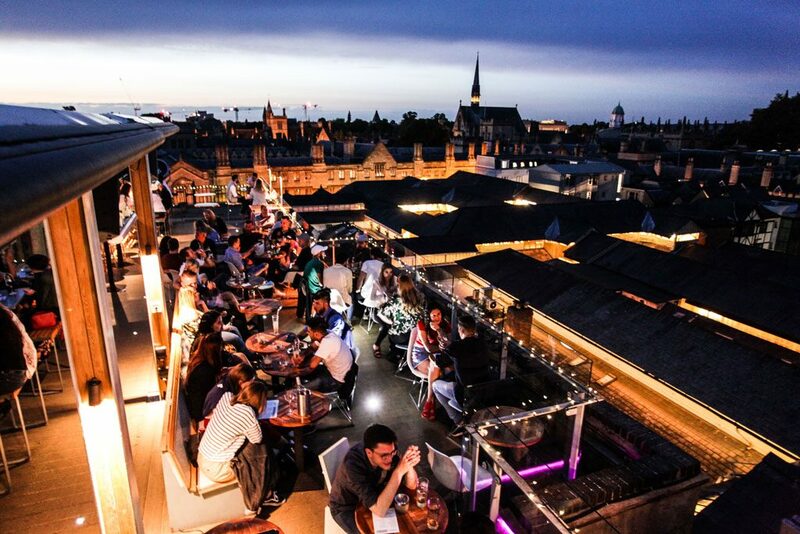 The Roof is open year round, with a dedicated bar serving draught beers and cider, Pimm’s and Prosecco. 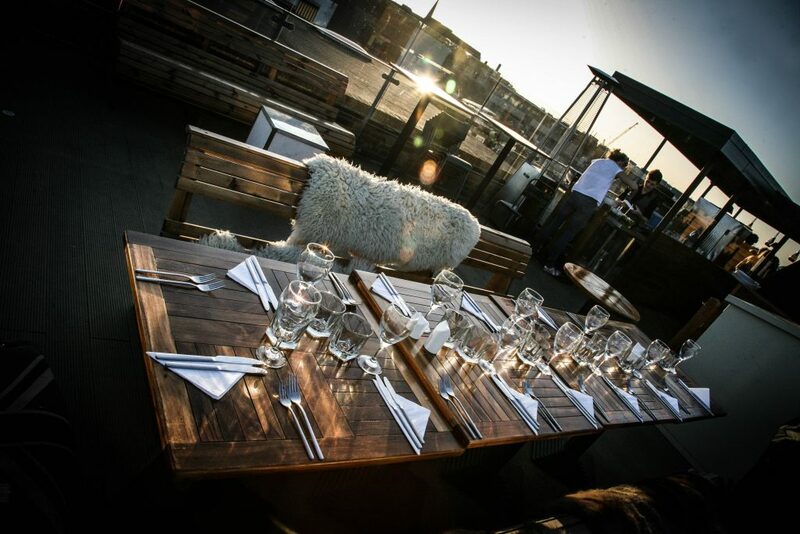 Food from our kitchen is available on the roof and during the warmer months we operate a full restaurant service. Extensive awnings, gas burners and magical heated seats will keep you warm and dry in all but the worst of the weather. 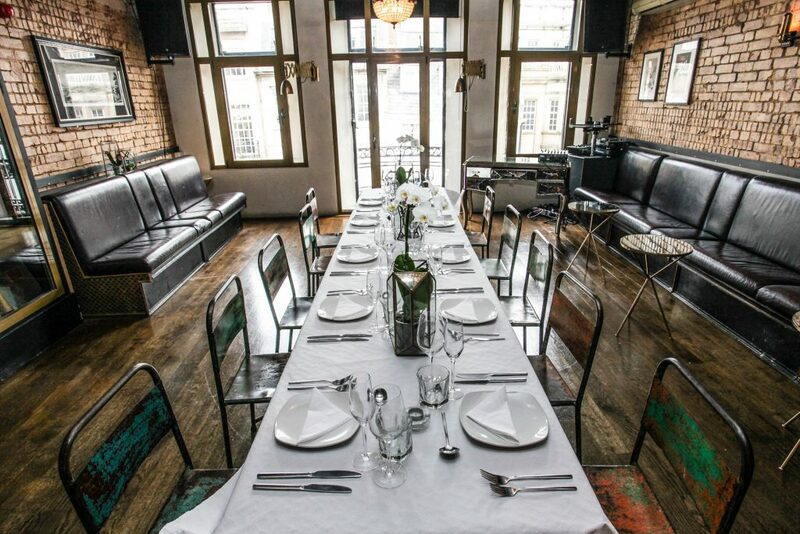 Group reservations (7+), Private party hire, Corporate hire and location filming can be arranged with our events team. 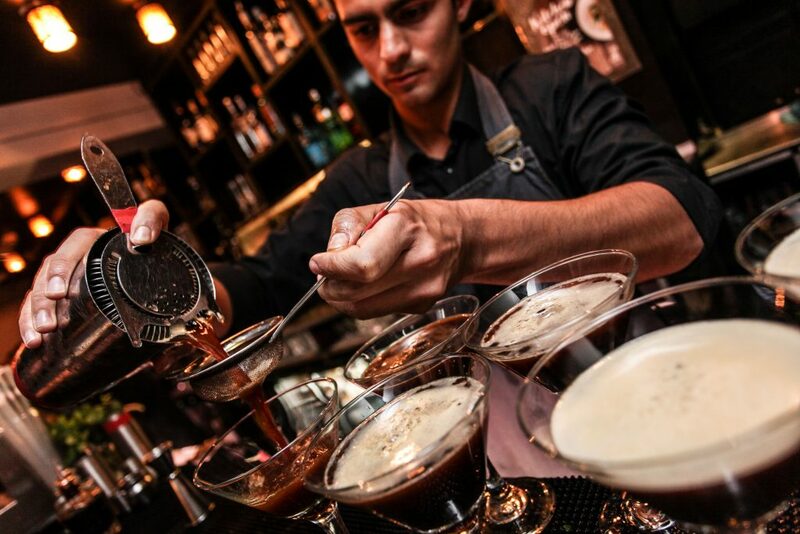 Open daily from 12 noon, the 3rd floor serves coffee, cocktails and classic food dishes. 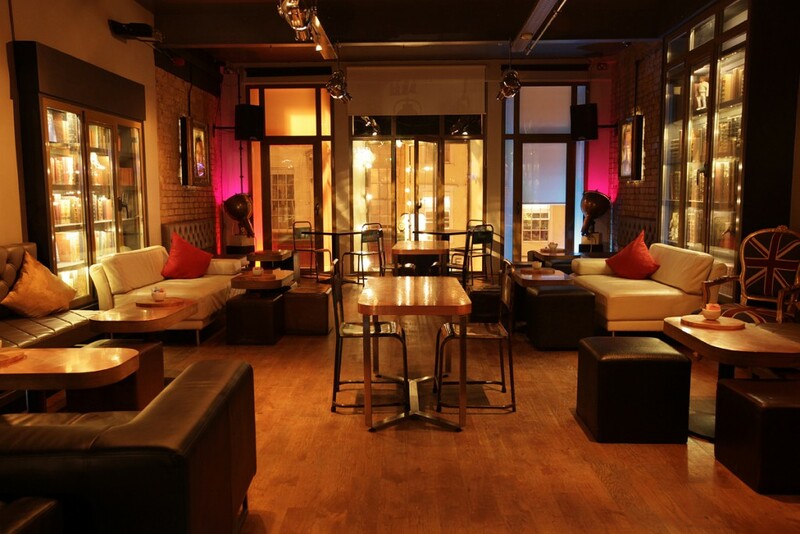 The Moroccan inspired lounge is relaxed and intimate, becoming more lively into the evening. 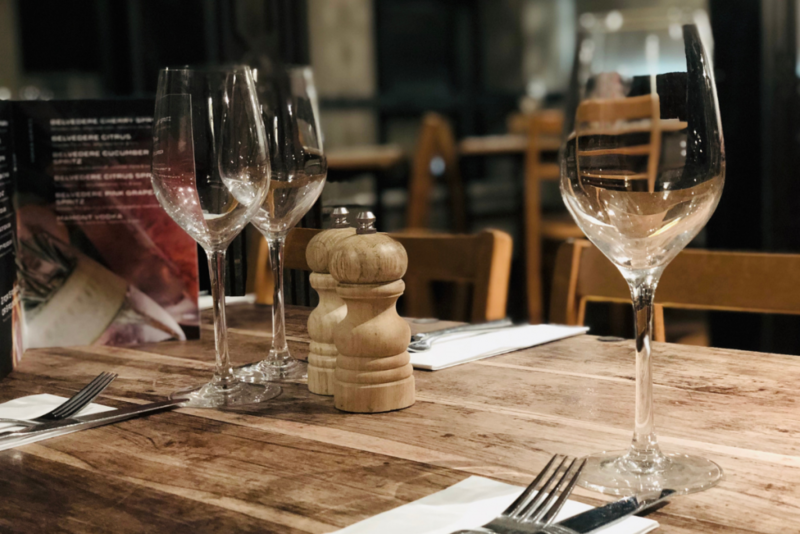 Tables and areas can be reserved for dining and groups. Perfect for Birthdays or a team drink. Open each weekend evening until 3am, the 1st Floor bar serves great cocktails while the resident DJs play music you just want to dance to. 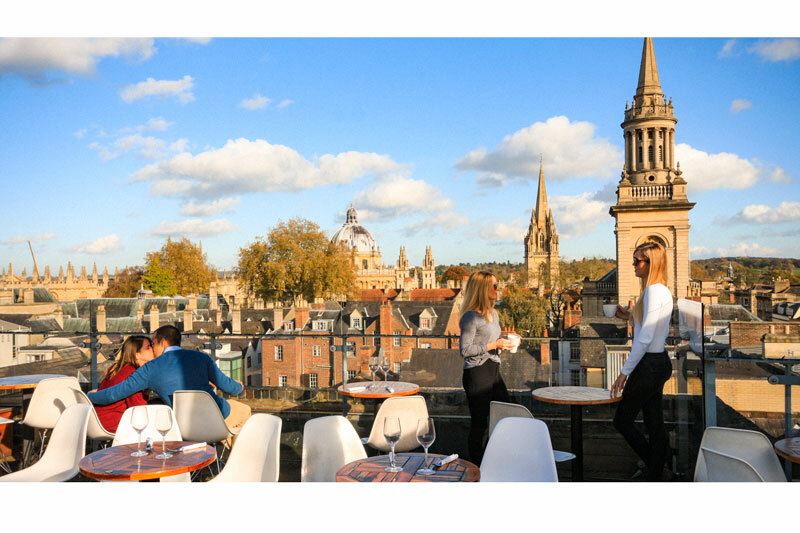 The grown up party vibe has earned us a Top3 rating for nightlife in Oxford. 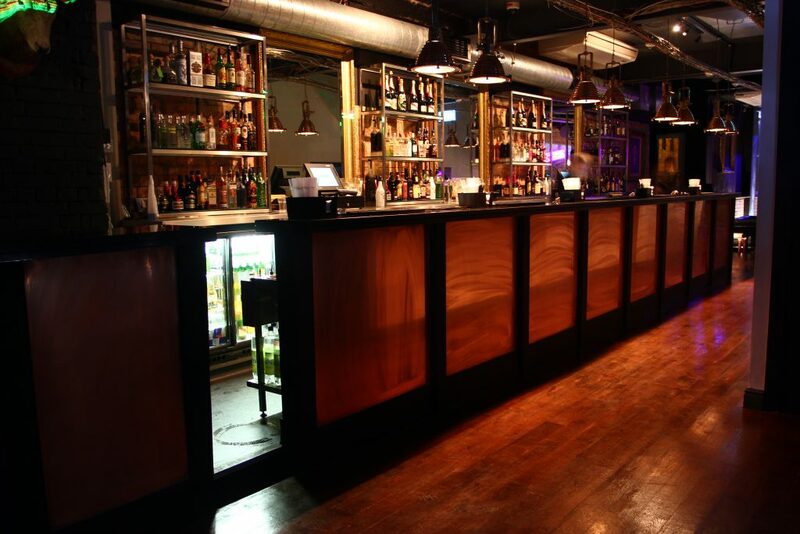 We operate an over21s policy and a cover charge after 1opm. 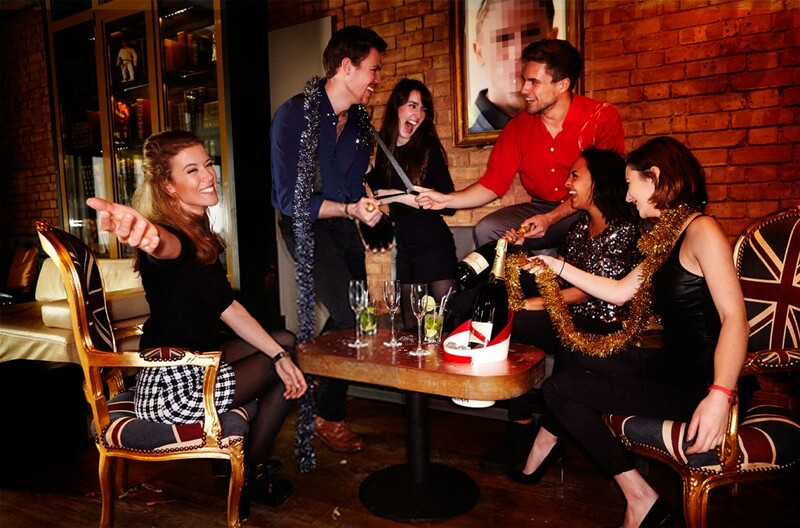 Tables can be reserved for groups up to 20 with a drinks pre-order, ideal for Birthdays and hen parties. 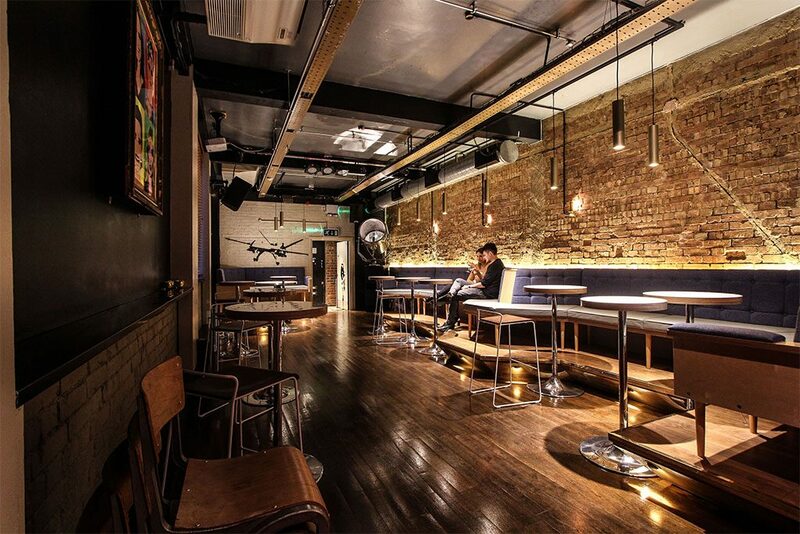 We have a range of different spaces for both small and large events from 30 to 300 guests. 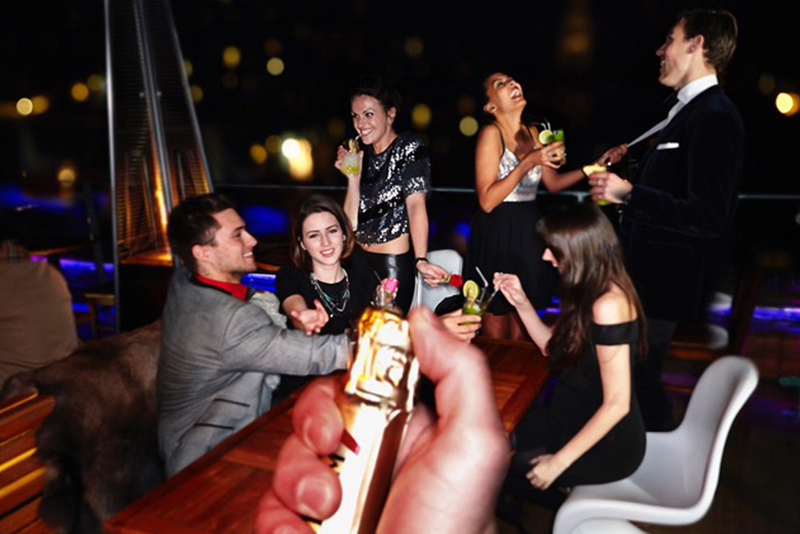 Whether you are organising cocktails and canapés, a private dinner party or a product launch, we can tailor a unique and memorable experience for you. Contact our events team on 01865 248 777 or mail@tvcoxford.co.uk. 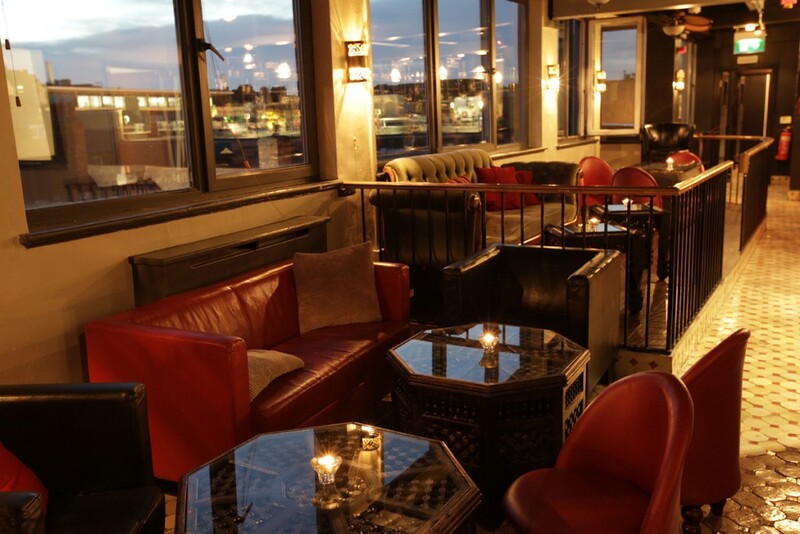 Level 2 is an exclusive space that can accommodate up to 120 guests – we can cater for cocktails and canapés or up to 40 seated dining. 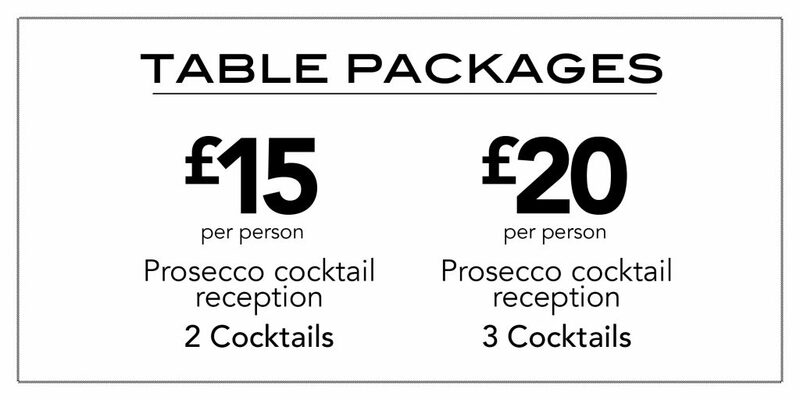 Ideal for milestone Birthdays, engagements, networking events. A DJ is included with full evening hire. VIP Roof Terrace. 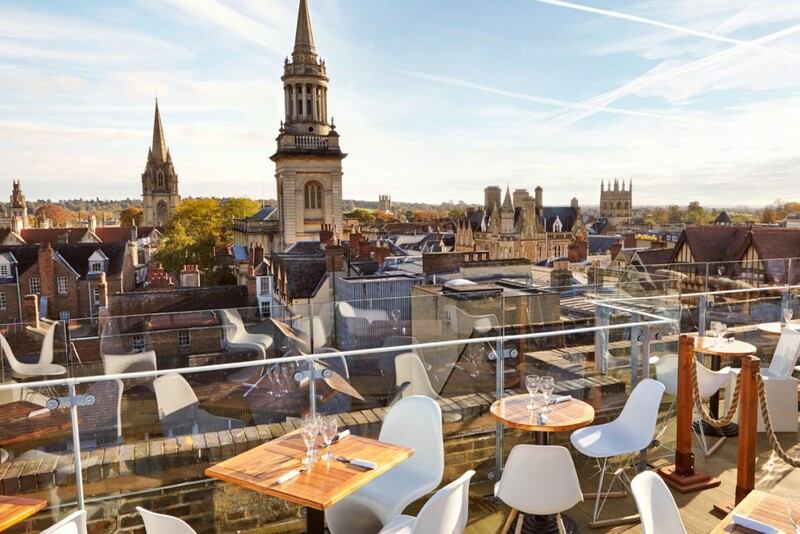 Overlooking the High St with rooftop cocktail bar, this terrace holds up to 45 standing or 30 seated.